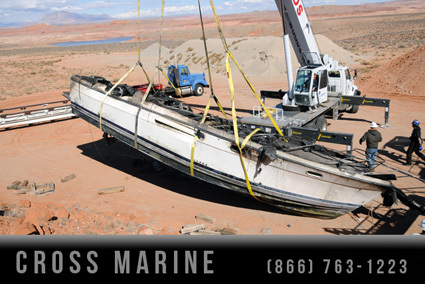 This ski boat was recovered by our commercial diving crew after it sank in a lake during a storm. The boat was recovered in excellent condition to the great satisfaction of the boat owners who plan to have the boat repaired for future use. A capsized hydraulic dredge is rescued from a lake. 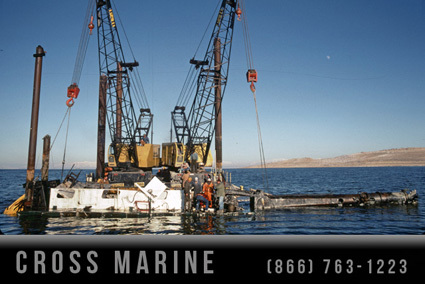 The sunken barge recovery required a custom marine salvage barge equipped with a commercial diving station and two cranes. 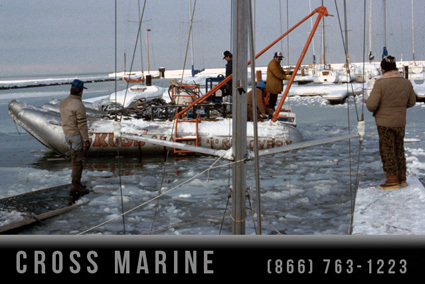 Commercial divers raise a sailboat that sank in its icy slip at a lake marina during winter. Crews safely recovered the boat without damaging the hull despite the large amount of rip-rap, debris and cables nearby. 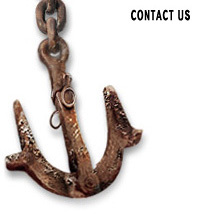 Cross Marine is equipped to perform underwater search and recovery projects in challenging marine conditions. A sunken boat is pictured laying on the bottom of a lake as part of an underwater search and recovery operation. 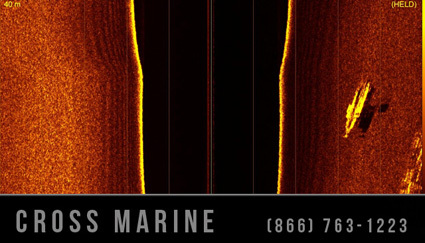 Advanced sonar technology and understanding of the lakes currents allowed Cross Marine to quickly locate the vessel which was later recovered by our commercial diving team. A sunken boat salvaged from a lake following a marina fire is relocated to a local site as part of a harbor arson investigation. 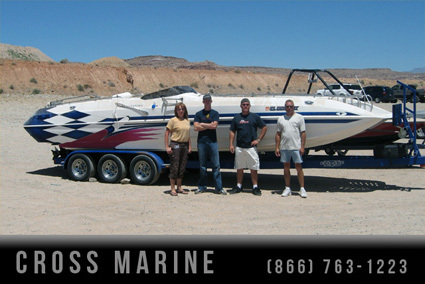 Cross Marine recovered several sunken boats related to this fire incident.